In context: Moore's Law has been the driving force behind advancements in semiconductor devices for nearly half a century. As the law is broken due to physical limitations at the atomic level, next-generation electronics need a new initiative to drive the next major revolution in computing. Intel's co-founder Goron Moore once said that the number of transistors on a chip will double every year while at the same time costs can be slashed in half. This notion has stuck around since 1965 and has largely held true up until this past year. As we reach physical limitations due to the size of atomic structures that make up modern electronics, there is still a need to figure out where we go next. To help figure out where we are headed, the Defense Advanced Research Projects Agency is hosting the first ever Electronics Resurgence Initiative. The three day event being held from July 23-25 in San Francisco will spur $1.5 billion of investment into innovative ideas for next-generation electronics. Industry partners include Alphabet, Intel, Cadence, Nvidia, IBM, Mentor Graphics, and Applied Materials. At the ERI Summit, artificial intelligence, hardware security, hardware emulation, and photonics will take center stage. Not only is there a need to build better hardware, but there is also a strong need to build the tools that assist design engineers in making the seemingly impossible a reality. Hardware emulation becomes much more difficult when the next iteration of hardware does not yet exist. Photonics are being researched as a means of improving upon our already existing processes. CPUs, GPUs, FPGAs, and ASICs all rely on ever smaller transistors to squeeze out more performance at lower power consumption. Enabling light-based interconnects allows for latency to be dependent on the speed of light through a medium instead of electricity traveling through semiconductors. 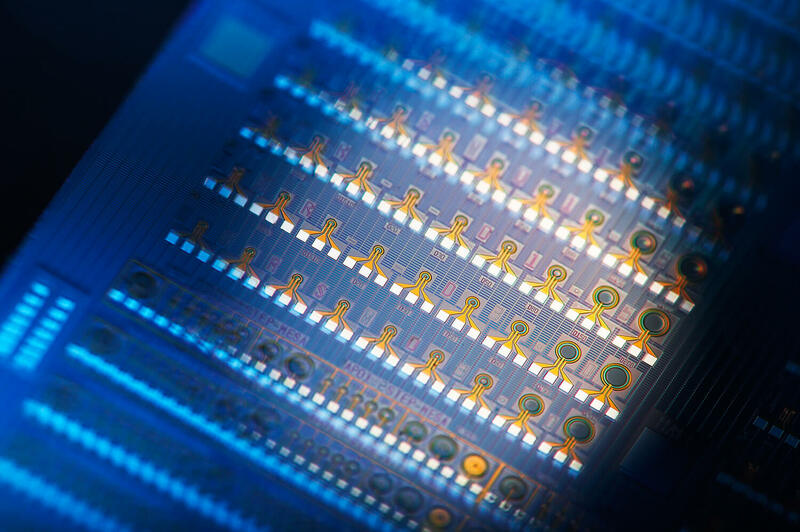 The theory of photonics embedded in microelectronic systems has existed for decades, but the feasibility issues have not yet been fully addressed. Unlike traditional silicon, photonics devices do not currently scale well for ease of mass production. This collaborative industry event could shape the path that electronics take for the foreseeable future. Although it may be decades before we as consumers begin to see the benefits of cutting edge research, it should be known that there are thousands of people actively seeking solutions to continue development of technology once Moore's law is shattered once and for all.